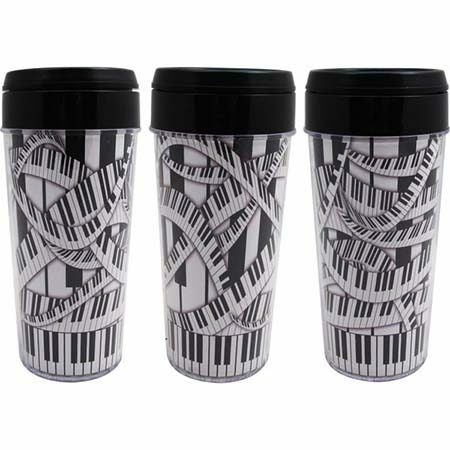 Piano Keys Travel Tumbler – The Piano Keys Travel Tumbler is a cool way for any pianist or keyboardist to show off their passion for music while enjoying their favorite beverage on the go! With it’s sturdy plastic lid, this tumbler will keep your hot or cold beverage concealed when you’re going about your day. From running errands to heading to your next performance, keep yourself hydrated with this unique drink container. Includes one mug.